Skibbereen Theatre Society’s 2013 drama festival circuit production is ‘The Hen Night Epiphany,’ the latest offering from Jimmy Murphy. His previous hit plays include ‘The Kings of the Kilburn High Road’ and ‘Brothers of the Brush,’ both of which had all male casts. This is his first attempt at getting inside the female mind. Una, her two best friends, her mother-in-law to be and her fiance’s godmother gather for a hen night of sorts at the run-down cottage the couple plan to renovate. The booze flows, the jokes and slagging begin, but all get more than they bargain for with revelation after shocking revelation! Skibbereen’s production is the Irish amateur premiere – the only previous production of this play was a professional one in the Focus Theatre, Dublin in 2011. We are indebted to Jimmy Murphy for giving Skibbereen Theatre Society the honour of being the first amateur group to perform his new play. Skibbereen Theatre Society also wishes to express its heartfelt gratitude and appreciation to Jason Field of Blackwater Motors, Skibbereen, and Morgan O’Driscoll, MIAVI, for their kind assistance with the logistics of touring this production. The top nine groups at the end of the festival circuit qualify for the Confined All-Ireland Finals, which are being held this year in Rossmore from April 19th to 27th. 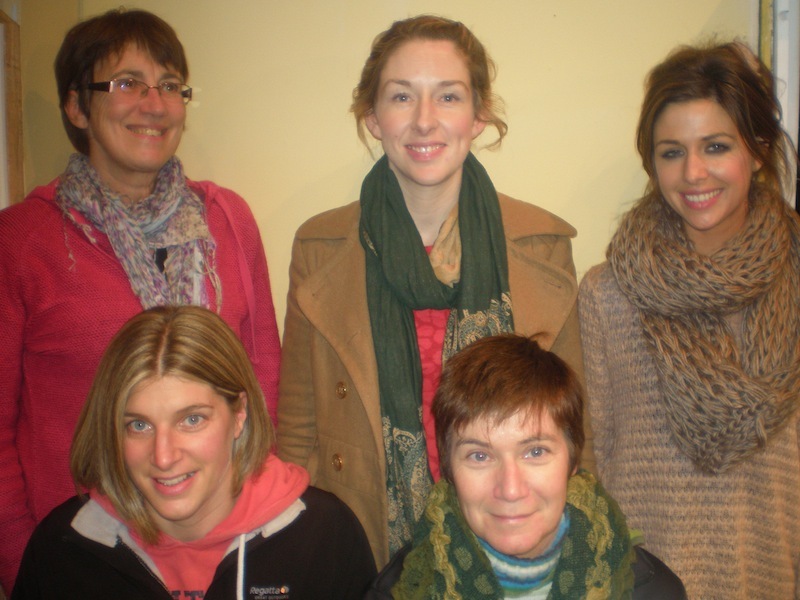 The cast of Skibbereen Theatre Society’s Spring 2013 touring production of the adult-themed play, The Hen Night Epiphany by Jimmy Murphy – seated, from left – Mary O’Driscoll and Hilda Hegarty. Back: Carmel O’Driscoll, Breda Herlihy and Sarah Murphy.